What is the cheapest way to get from Charlotte to Wilmington? The cheapest way to get from Charlotte to Wilmington is to drive which costs $19 - $29 and takes 3h 43m. What is the fastest way to get from Charlotte to Wilmington? The quickest way to get from Charlotte to Wilmington is to fly which costs $200 - $1,200 and takes 2h 27m. Is there a direct bus between Charlotte and Wilmington? No, there is no direct bus from Charlotte to Wilmington station. However, there are services departing from Charlotte, Nc and arriving at Downtown Station via Fayetteville, Nc and Forden Station. The journey, including transfers, takes approximately 7h 39m. The distance between Charlotte and Wilmington is 180 miles. The road distance is 198.6 miles. How do I travel from Charlotte to Wilmington without a car? 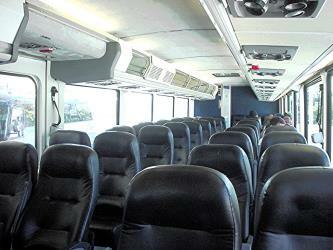 The best way to get from Charlotte to Wilmington without a car is to bus which takes 7h 39m and costs $40 - $55. How long does it take to get from Charlotte to Wilmington? It takes approximately 2h 27m to get from Charlotte to Wilmington, including transfers. Where do I catch the Charlotte to Wilmington bus from? 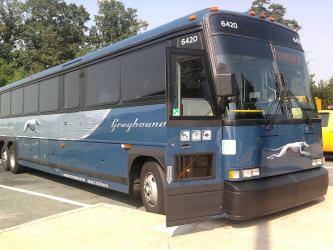 Charlotte to Wilmington bus services, operated by Greyhound USA, depart from Charlotte, Nc station. Bus or fly from Charlotte to Wilmington? The best way to get from Charlotte to Wilmington is to fly which takes 2h 27m and costs $200 - $1,200. Alternatively, you can bus, which costs $40 - $55 and takes 7h 39m. How long is the flight from Charlotte to Wilmington? The quickest flight from Charlotte Airport to Wilmington Airport is the direct flight which takes 54m. Where does the Charlotte to Wilmington bus arrive? 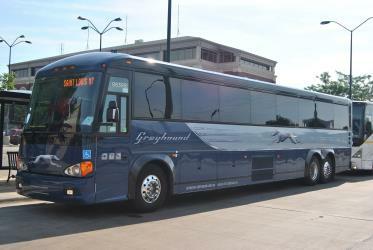 Charlotte to Wilmington bus services, operated by Greyhound USA, arrive at Wilmington, Nc station. What companies run services between Charlotte, NC, USA and Wilmington, NC, USA? American Airlines flies from Charlotte to Wilmington every 3 hours. Alternatively, you can take a bus from Charlotte to Wilmington via Fayetteville, Nc, Wilmington, Nc, and Forden Station in around 7h 39m. Can I drive from Charlotte to Wilmington? Yes, the driving distance between Charlotte to Wilmington is 199 miles. It takes approximately 3h 43m to drive from Charlotte to Wilmington. Which airlines fly from Charlotte Airport to Wilmington Airport? American Airlines offers flights from Charlotte Airport to Wilmington Airport. There are 91+ hotels available in Wilmington. Prices start at $98 USD per night. Cape Fear Museum of History and Science is a museum located at 814 Market Street in downtown Wilmington in southeastern North Carolina. Founded in 1898, it is the oldest history museum in the state. Airlie Gardens (67 acres) is a public garden in Wilmington, North Carolina. The Wilmington Historic District is a national historic district located at Wilmington, New Hanover County, North Carolina. The district encompasses 875 contributing buildings 38 contributing sites, and 3 contributing structures in the historic core and surrounding residential sections of Wilmington. The district developed after Wilmington was laid out in 1737, and includes notable examples of Queen Anne and Bungalow / American Craftsman style architecture. Located in the district are the separately listed City Hall/Thalian Hall and Alton Lennon Federal Building and Courthouse. Other notable buildings include: It was listed on the National Register of Historic Places in 1974, with a boundary increase in 2003. Wilmington National Cemetery is a United States National Cemetery located in the city of Wilmington, in New Hanover County, North Carolina. Administered by the United States Department of Veterans Affairs, it encompasses 5.1 acre, and as of the end of 2005, had 6,171 interred remains. Rome2rio makes travelling from Charlotte to Wilmington easy. Rome2rio is a door-to-door travel information and booking engine, helping you get to and from any location in the world. Find all the transport options for your trip from Charlotte to Wilmington right here. Rome2rio displays up to date schedules, route maps, journey times and estimated fares from relevant transport operators, ensuring you can make an informed decision about which option will suit you best. Rome2rio also offers online bookings for selected operators, making reservations easy and straightforward.